Park In-bee to make her first start of the year. February. 27, 2019 07:38. ysahn@donga.com. The top 10 players in the Rolex Women’s World Ranking will play this week in the fifth tournament of this season. The last one to join was South Korean golfer Park In-bee, who made the Hall of Fame in 2016. Park is making her first start of the year on Thursday at the HSBC Women’s Championship at the Sentosa Golf Club in Singapore. She is making her LPGA comeback in five months since last year’s Evian Championship. Her world rankings fell to No. 5 due to her five-month break. Eyes are on whether Park Inbee, the only multi-winner of the tournament (2015, 2017), will be able to win the event one more time like Yang Hee-young did in 2015, 2017, and 2019 at the Honda LPGA Thailand. 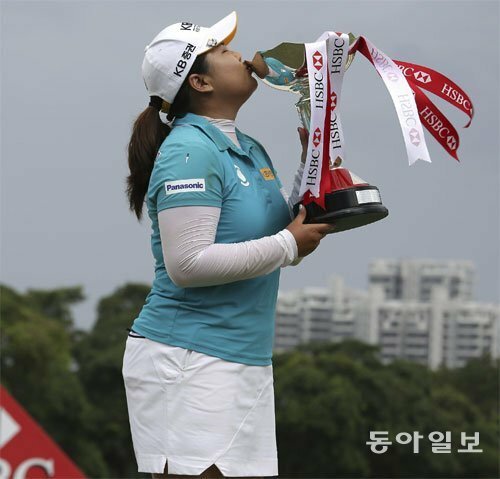 Another interesting point to note is whether Park will be able to win her 20th LPGA Tour title, showing a great performance like other South Korean veteran golfers Yang Hee-young and Ji Eun-hee, who won the first tournament of this year.